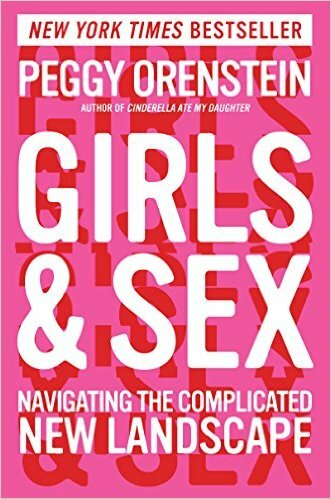 Nonfiction dominates my list of favorite books for 2016. Part of that was driven by my desire to better understand why the economy and society more broadly are failing certain segments of the U.S. population, and how those failures could help explain the outcome of the 2016 election as well as the racism and xenophobia that were unmasked by the campaign. 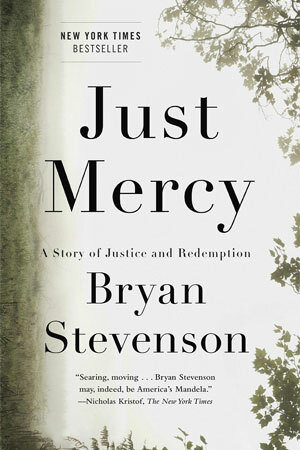 If you’re not already a lawyer, Just Mercy by Bryan Stevenson will make you so angry that you’re liable to enroll in the nearest law school so that you can join the author in his quest to represent innocent victims on death row who were ill-served by the justice system—if you could call it that. Stevenson is such a gifted storyteller that you often have to remind yourself that the book is not John Grisham’s latest bestseller but rather a heart-breaking account of how tenuous justice is for the poor and disadvantaged. 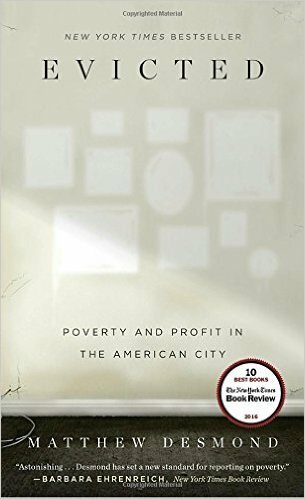 In Evicted: Poverty and Profit in the American City, sociologist and author Matthew Desmond describes his observations based on having moved to Milwaukee (one of the most segregated cities in the U.S.) and lived in two low-income neighborhoods: an African-American ghetto on the north side, and a predominantly white trailer park on the south side near the airport. With his close-up-and-personal access, he relates the day-to-day stories of tenants and landlords, sheriff’s deputies and moving company workers in riveting detail. What’s striking is how residents of both neighborhoods are beset by a similar cycle of unemployment, addiction, family dysfunction, arrests, eviction notices and court dates. It’s also strikingly clear that any serious attempt to address poverty in the U.S. must include a plank addressing housing—sadly, highly unlikely given that the current administration has called for a $6 billion reduction in the budget for the Department of Housing and Urban Development and has appointed a Secretary with no housing policy expertise. 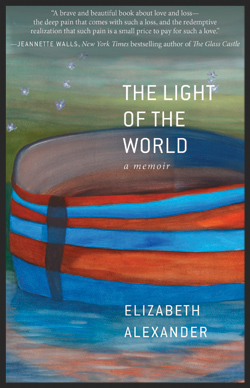 The Light of the World, a memoir by Elizabeth Alexander, chronicles her marriage and the sudden death of her husband and father of her two sons with the beauty of a love story and the aching poetry of loss and grief. Alexander is a professor at Yale, and her late husband, Ficre, a native of Eritrea, was an artist and chef. 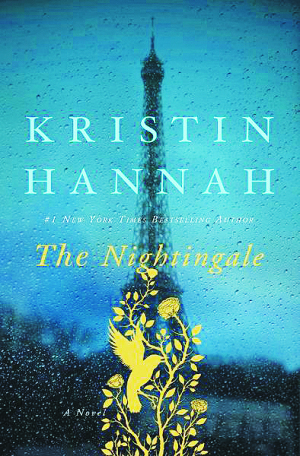 If you enjoyed All the Light We Cannot See, then you should pick up The Nightingale, a novel by Kristin Hannah set in WWII France. 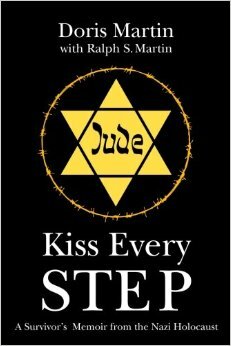 She writes about two sisters, Vianne and Isabelle, who each aid the French resistance but in very different ways. Though a novel, Hannah bases Isabelle’s character on a real-life young Belgian woman who created a secret escape route out of Nazi-occupied France through the Pyrenees for downed airmen and other Allied soldiers, and the book importantly gives credit to the role that women play in wartime behind the scenes. 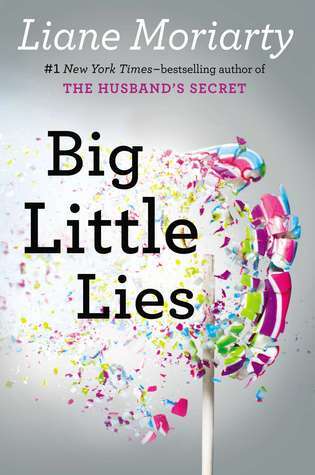 Honorable Mention: Big Little Lies by Liane Moriarty is the perfect spring break or beach read if you’ve ever been involved in a PTA or helped organize a charity silent auction. Then you can catch the new HBO series that’s based on the book. Friday night Family Splash Nights at Chinquapin Aquatics and Recreation Center are a great way to kick off the weekend. Co-sponsored by the Alexandria Parks & Recreation Department, the Chinquapin Advisory Council and Advocates for Alexandria Aquatics, the March 31 Family Splash Night will spotlight students and families from George Mason and Maury Elementary Schools, but all families are welcome. 6:00 to 9:00 p.m. Admission is $4 per person. The next Family Splash Nights will be on April 28 (Mount Vernon Community School), May 5 (Lyles-Crouch), May 19 (Polk) and June 2 (Cora Kelly).